This is a guest contribution by Mika Epstein. If you’re not quite ready for the update, it’s time to get there. Because this new post editor is going to change everything. Thankfully, it’s also pretty straightforward. You don’t need to fear Gutenberg. For most users, it’ll even make using WordPress a better experience. 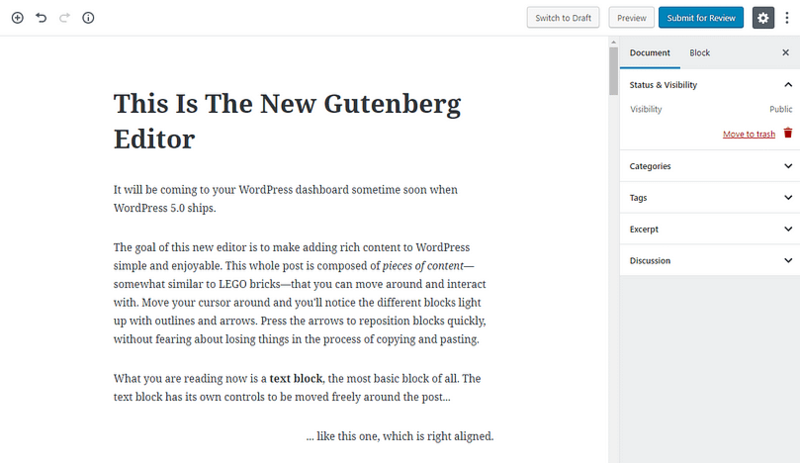 In case you don’t know, Gutenberg is the new editing experience that’s coming with WordPress 5.0. It brings a whole new content editing interface and lots of new features. Essentially, it’s WordPress’ attempt to compete with the modern website builders of today. Right now, WordPress editing can be a very frustrating process. Are you nodding your head in agreement right now? It’s okay – my father hates it to the point that he just emails me what he wants to post for his site and I post it. Clearly, there’s a need for some significant changes. The current WordPress editor is a good editor, but your posts don’t always end up looking the way you’d envisioned them, and for a lot of users that’s been a major source of frustration. For instance, you can’t just copy and paste text into the WordPress editor from Microsoft Word documents, because it doesn’t always behave. The formatting will be different, and, really, this is the core reason behind the Gutenberg editor in the WordPress 5.0 update. 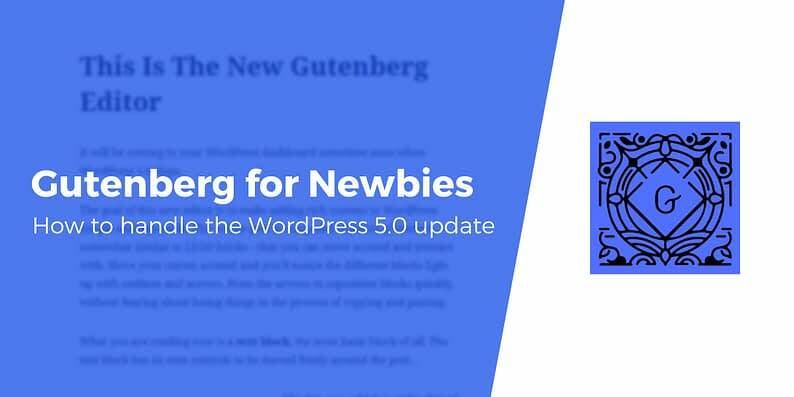 Just as managed WordPress hosting is making it easier than ever to handle the technical side of hosting a site, Gutenberg is making it much simpler to handle how your site looks when you write new posts. You’ll have more control without a lot of the fuss. You’ll be able to create blocks of content and move them around and see what they look like before you publish. Before, you’d rely on the text editor and a knowledge of HTML or plugins to get your posts to look a certain way. You’d type text into the post editor and then make adjustments to how it looks. Finding the right plugins and installing them, typing in the right shortcodes, you’d hack your way gradually until you made it look right. With every small change, you would hit “preview” and hope for the best. The best thing re Gutenberg for newbies is that Gutenberg brings the editor more in line with a type of interface that people are accustomed to using. It’s similar to, for example, Google Docs. You highlight a line and make it bold, say, with a hot pink background and dark-red text. It’s easy. You can freely customize writing to make it look exactly like you want it to right there in the editor. And you do all of that without having to know any code. This is all done in “blocks” – in Gutenspeak, those are the movable, customizable paragraphs that make layouts so much easier to work with. Really, you shouldn’t need a developer to make these changes for you. That’s the biggest problem Gutenberg solves. Have a page builder you already like using, like Divi Builder or Elementor? A lot of these builders are now compatible with Gutenberg – making it easy to work with Gutenberg for newbies. Still, for existing users, the WordPress 5.0 update means some things will look and feel a little different. There are going to be certain, very specific things that won’t work well with Gutenberg. This is because not all plugins have been updated yet to be compatible with the new Gutenberg editor. If you rely on specific plugins, you may run into problems until the plugin’s developer has a chance to release an update. 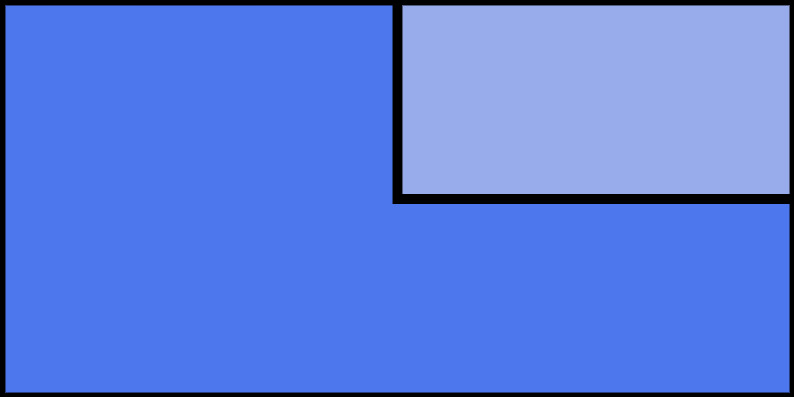 For instance, I write a lot of posts where I show how to use code to accomplish something. I include the code examples right there in my posts. The plugin that does that doesn’t work with Gutenberg. Another example, the popular plugins CMB2 and ACF may not work exactly the way you expect them to. These plugins both allow you to add extra features to your WordPress posts and they both do work with Gutenberg, but their interface isn’t the same as it was before the WordPress update. The developers are working very hard to make sure these are compatible with Gutenberg, but using these plugins may be a different experience than you’d typically see. For many people, though, this shouldn’t be an issue. It’s often more of an edge case. And more developers are modifying their plugins. At this point, maybe you’re wondering how the rollout will happen for you. If your site is hosted through a managed WordPress hosting service or even a shared hosting service, your host will probably take care of the WordPress 5.0 update for you. For security reasons, even shared hosting services often take care of WordPress updates. They’d rather it’s done safely and correctly. So, you probably won’t have to do much of anything to get Gutenberg to your site once the WordPress 5.0 update is pushed through. That said, you might have to install some changes manually. But many hosts will install the update automatically unless you specifically instruct them otherwise, and you’ll be able to go in and make customizations if you want to. 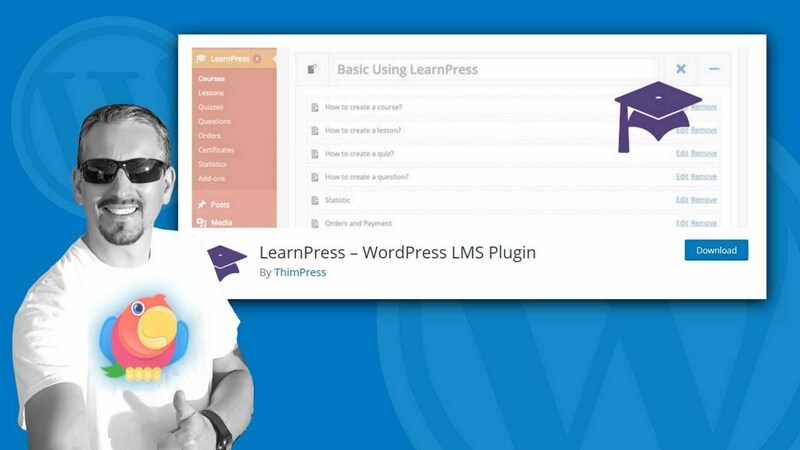 With Gutenberg, you don’t have to learn a ton of things to create a WordPress website and manage it. Gutenberg’s blocks are easy to customize, and they’ll make WordPress more friendly for more people. If you use WordPress to do a lot of writing and just want to focus on making your work available to the world, then Gutenberg will probably make that process a lot faster and easier for you. Personally, I really enjoy writing with Gutenberg. It’s fun. I think you’ll enjoy it too. Have any questions about Gutenberg? Ask them in the comments below and we’ll try to help you out. About the author: As DreamHost’s official WordPress guru, Mika Epstein troubleshoots any issue that comes up, offers top-notch support, and plays a key role in building and maintaining DreamPress, the managed WordPress hosting solution DreamHost offers. When she’s not working as a WordPress developer, she’s racking up stamps in her passport to speak at WordCamps about coding and open source technology. She also writes about these topics – and more – on her personal WordPress website at halfelf.org.